Communication remains one of the top issues for relationship building between pharmacists and nursing care staff. As adverse drug events and medication errors are more often linked as a major culprit for costly rehospitalizations, some inside long-term care are beginning to see their consultant pharmacist as a vital resource on broader issues. In short, nursing home managers would do well to not only get closer to their pharmacist, but include them where the weightiest of policies are shaped. After all, pharmacists serving long-term care figuratively spend sleepless nights worrying about many of the same things as nurses and their bosses. Jennifer Hardesty, PharmD, chief clinical officer and corporate compliance officer for Remedi SeniorCare, admits her peers are obsessed year-round about customers’ survey readiness yet, sadly, only learn of a scheduled visit after the fact. Many pharmacists also agonize as much over data as they do drugs. Managed well, both can be powerful antidotes. Michael Boivin, president of Cubex MedBank Solutions, says that overall it would be better if consultant pharmacists worked more closely with nursing staff to reduce manual record keeping processes that are prone to error. Arguably, the one thing that nags pharmacists most is whether their recommendations are falling on deaf ears. “All senior care pharmacists worry about the patient who is on one medication too many,” acknowledges Chad Worz, PharmD, executive director and CEO of the American Society of Consultant Pharmacists. Howell, clinical support manager for McKesson Medical-Surgical, asserts too many nurses don’t pay attention to expiration or stop dates of drugs in med carts or narcotics in starter kits. As Hardesty and Howell remind, facilities should have written policies for managing those recommendations, yet problems occur when nursing home staff don’t know or follow them. Another big one is being treated as an outsider. Poor communication bristles pharmacists more than anything. Hardesty calls it “the number one hurdle to overcome,” a missed opportunity to discuss the goals and expectations they have for reducing rehospitalizations, psychotropic medication use, antibiotic stewardship, and transitions of care. 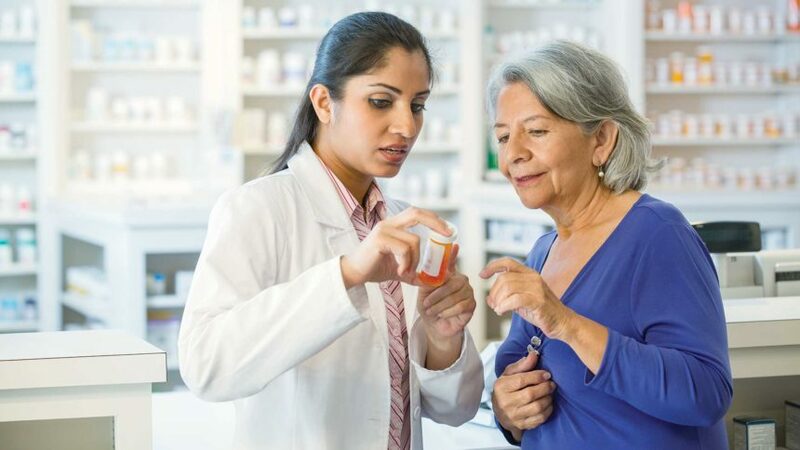 Oddly, pharmacists are often the last to be consulted or notified about “changes in resident condition, new admissions, survey issues, customer service, and policy changes, [which] may result in a sizeable disconnect between the two partners,” says Erin Foti, director of consulting services for Remedi SeniorCare. Often, pharmacists are the ones to take the initiative because regulations require it when they have concerns, says Alan Obringer, president of Guardian Pharmacy Orlando. “Another way to assist communication efforts between nursing home staff members and consultants is ensuring a nurse is always present during the consultant’s review of medication carts, if their workload permits,” he says. Pharmacists say the first step to opening strong communication ties is understanding the impediments. Time is a big one. It’s sometimes difficult to get beyond routine questions about medication orders. “It’s hard to find good quality time to discuss disease states and or specific patients,” says Griffin. All pharmacists also must tiptoe around an 800-pound gorilla: constant staff turnover. That is agonizingly frustrating to people such as Kevin Coggin, PharmD, a consultant pharmacist for Turenne PharMedCo. It’s when overworked nurses stop to seek help with things like passing meds and issues like polypharmacy when breakthroughs occur, as Howell has experienced. An effort on the nurse’s part to review the medication list with the consulting pharmacist can go far in reconciling and eliminating medications and reducing complicated dosing schedules, she adds. Unfortunately, “all this takes time and an act of responsibility that not all nurses are willing to take,” Howell says. Another misconception: “Pharmacists create more work for the facility by finding ‘problems’ instead of improving patient care and outcomes,” says Foti. One insidious impediment is stifled communication, according to Michael Samarkos, director of clinical and consultant services at Guardian Pharmacy Orlando. It often happens when “large workloads and lack of time inhibit communications when a pharmacist is present.” This can be overcome when the pharmacist is regarded as a part of the team. But one aspect pharmacists and nurses can agree upon: A crude or poorly integrated electronic medical records system can act as a veritable wall to accomplishing so much work that pharmacists and nurses bear in equal measure these days. Excess time is lost chasing paper trails in order to complete reconciliation reports, says Griffin. Worse, even when a solid EMR is up and running, remote pharmacists often are hindered by poorly constructed security walls that impede the access they need. Worz’s predecessor at ASCP, Frank Grosso, R.Ph., believes there are few greater investments on both sides than forging closer ties to tackle the costly problem of rehospitalizations. “With over a million patients being discharged from skilled facilities to home, juxtaposed with the new reimbursement provider penalties for avoidable rehospitalizations, the value or ROI for pharmacist conducted medication reconciliation at the time of discharge has never been better,” says Grosso, who now works as an independent consultant with HealthCare Consults LLC. Howell believes if nursing takes a proactive approach to better understanding consultant pharmacists’ role, adverse medication events will decline. There’s never been a better time to partner with consultant pharmacists on best practices around the use of antibiotics, antipsychotics and opioids, as well as diversion issues, experts say. “Just as the pharmacist has played a central role in the reduction of inappropriate antipsychotic use, they also can play a role in antibiotic use and opioid management,” says Worz. While most nursing staff call upon a consultant pharmacist to explain thorny billing issues with resident families, few think to exploit their larger expertise in medication management. That, to many, is a huge lost opportunity, as senior care pharmacists exist to teach about medication use, Worz says.